Supervisors consider official opposition to new leash laws. The San Francisco Board of Supervisors is jumping into the battle over an off-leash policy at some city parks according to the San Francisco Examiner's Under the Dome. 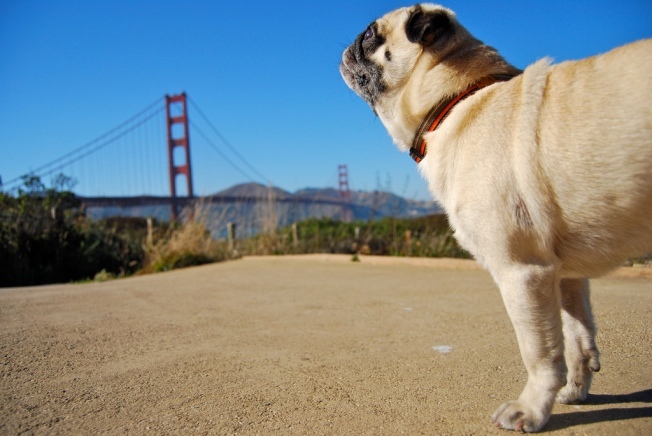 Supervisor Scott Wiener introduced a resolution yesterday that, if approved, would put the board on record as opposed to the Golden Gate National Recreation Area's proposed dog policies. The GGNRA wants to get rid of and/or cut back on off-leash areas in Fort Funston, Crissy Field and seven other parks in the city. The park service says the increased use of parks for dog recreation have resulted in compromised visitor and employee safety. The resolution proposed last night criticizes the dog policy for not taking into account the benefits of having dogs off-leash and not recognizing "needed exercise and socialization for dogs, nor does it include any consideration of the benefits of the social communities that have developed and flourished." The proposal also asks the federal agency to postpone any action that changes leash policy until a study is conducted on the affects of a change. The Board of Supervisors Land Use and Economic Development Committee will hold a hearing on the off-leash proposal on April 11. It will also vote on Wiener's resolution.